Kedarnath Dialogues- Get all the famous lines, dialogues from Kedarnath movie. This is a romantic drama film, written, directed and co-produced by Abhishek Kapoor. Sushant Singh Rajput and debutante Sara Ali Khan are playing the lead roles. The film tells the story of a wealthy Hindu girl who takes a pilgrimage to the historic Kedarnath Temple in the Uttarakhand mountains, where she meets and falls in love with a humble Muslim boy who becomes her guide. 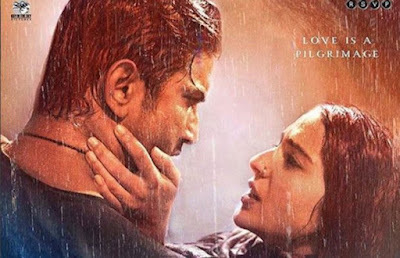 when the sudden rains of the 2013 Uttarakhand floods devastate the region, the couple is forced to survive against the elements and face the ultimate test of their love. The trailer is awesome, both are looking so beautiful, Sara Ali Khan is really looking gorgeous. Some dialogues and lines are really awesome which are delivered y Sushant Singh Rajput. Here we have collected all Kedarnath famous dialogues. "Nahi hoga ye sangam..phir chahe parlay ku na aaye"